We’re so excited to share with you the the grand opening of The Culinary Atelier, an International Cooking School located in a 17th century chateau in the little village of Saint Andre et Appelle, just outside of Bordeaux, France. We will be offering three sessions of our cooking school in 2019 and would love to invite you to join us! Kadu is a graduate of Le Cordon Bleu Paris with the Grand Diplome in Culinary Arts. He was born in Sao Paulo, Brazil but from a very early age a citizen of the world. Born and raised on the farm, he has always been involved with home cooking influenced by his mother, a typical Brazilian chef. After graduating from the University of Dentistry in Brazil and Argentina, Kadu moved to the United States to work as a model. This gave him the opportunity to travel all over the world, exploring the cuisine and culture of 20 countries and to discover his passion to inspire others to live a healthier life through food. He then moved to Paris and to continue his culinary knowledge at Le Cordon Bleu Paris and also time at schools such as: L'École Ritz Escoffier at the Ritz Paris and Lotus Chef Cooking School Marrakech. He believes that cooking should be simple, fresh, local and seasonal and create a way for people to connect to themselves and each other. We’ll be sharing this experience with guests from around the world that desire to enjoy a gorgeous culinary experience, coming together for a week of cooking classes, wine tastings, visits to some of our favorite local producers and to enjoy the Bordeaux wine region of France! We will gather together on the first evening for a beautiful evening of wines, cheeses and a welcome dinner with everything sourced from our organic garden, a true farm to table experience. On Saturday morning you will have coffee and a light breakfast followed by a trip to the local market in Saint Foy la Grande, one of the regions biggest & best farmers markets! Apples freshly plucked from the orchard, potatoes unearthed that morning, jams potted the night before, this is truly a wonderful rural, medieval market that will capture your imagination and take you back in time. After the market we will return to the the Chateau where you will be learning how to prepare and create authentic regional dishes from locally sourced ingredients and our dishes will be focused on the fresh produce available each season. You will learn how to source local ingredients and learn classic cooking techniques. We will focus on the basic methods along with key ingredients, proper knife skills, and the basics of grilling, searing, sauteing, poaching and roasting. You will learn sauces specific to each type of cuisine, and basic baking techniques as well. You will discover the tools you will need for your kitchen to be prepared for each style of cuisine and the key ingredients to always have your kitchen stocked. 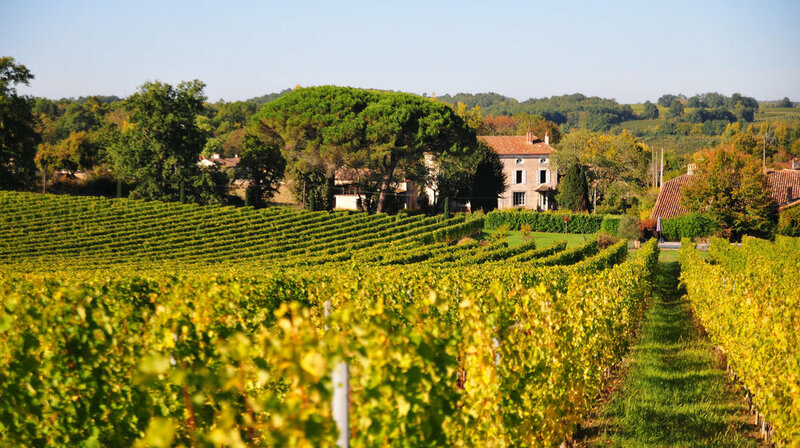 We will visit the beautiful village of Saint Emilion for wine tastings followed by a beautiful lunch at Château Grand Barrail, a michelin star restaurant. 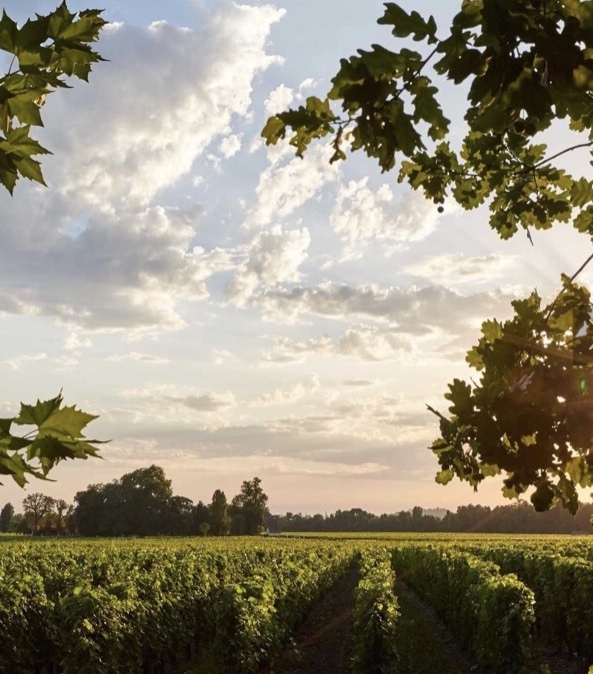 Two thousand years of history between men and vines are waiting for you in the Jurisdiction of Saint-Emilion, a remarkable example of a historical vineyard that has got through the ages but yet is still the same. Saint-Emilion is a charming medieval village located in the heart of the famous Bordeaux wine area. It is a very unique site were world-famous wineries, fine wine, beautiful architecture and great monuments are a perfect match. Each morning begins with a gorgeous breakfast with fresh pastries and our favorite Italian coffee followed by beautiful gourmet lunches and dinners with wine pairings from some of Bordeaux’s best. After breakfast we will head to the local market in Sainte Foy, one of the best markets of the region. We will have a guided tour to introduce you to our favorite artisan producers including our baker and cheese producer, the lamb lady, our oyster guy and you can then explore on your own and enjoy a cafe or some of our favorite market “street food”. Here we will pick up everything we need for our time together. We will return to Les Chapelain for cooking technique workshop one and a beautiful dinner with a wine tasting experience. We will start the morning with fresh pastry and coffee followed by hands on workshop number two and fabulous Sunday Brunch! You will learn classic preparations for our favorite brunch recipes along with a lovely champagne/mimosa bar. You will have the afternoon to enjoy the pool before we gather for dinner that evening. We will have breakfast followed by hands on workshop three and a beautiful gourmet lunch with wine. We will have a special wine tasting class with Pierre Chalot, a wine maker and expert in the vines of Les Chapelain and the entire region. Pierre’s family has been making wine here for generations and we are so excited to introduce you to his famous wines paired with a beautiful dinner this evening. After breakfast we will venture to Saint Emilion for a beautiful tasting experience and lunch at Château Grand Barrail, a beautiful chateau that is one of our favorite places! We will have our fourth hands on workshop this evening ending in a beautiful dinner party experience that each participant will help to prepare and execute. We will enjoy our final hands on workshop this morning after breakfast together and then we will depart early afternoon. We can take you to the train station in Saint Foy for a 1p.m. or later departure. Please note: If you have chose the Bordeaux immersion buy up option we will leave Les Chapelains at 1 p.m. to transfer to Bordeaux and go to the famous wine museum for an afternoon of exploration and tasting. We will return to the hotel where you can check in and rest before a lovely wine dinner that evening. The experience will be complete after brunch the following morning. Five hands on cooking technique workshops including classic techniques, sauces, soups, french baking, knife skills, wine tasting, how to stock your kitchen and proper cooking tools. *airfare and transfers to/from Bordeaux are not included. Hayley Hunter Hines is the Founder of Soul Sparkle, Inc. events and experiences and the creator of the Soul Sparkle Collection. She is an inspirational speaker, spiritual teacher, advanced certified practitioner of Sacred Soul Alignments and author of the forthcoming book Soul Sparkle Living: Your Guide to Creating a Magical Life. She is also the host of Soul Sparkle Radio. She has a B.S. degree in Nutrition and a Masters in Health Promotion Management and spent 20 years in the corporate wellness industry. She has published the La Bella Living Lean cookbook and healthy lifestyle program and taught healthy cooking classes for over 15 years. She believes that food and love are deeply connected, and that nourishing our bodies in a beautiful way is the ultimate act of self love. She is a graduate of the Institute for Integrative Nutrition and also a three time 200 Hour Registered Yoga Teacher. Her passion is to help individuals, families, and companies create and maintain a healthy and beautiful life. Nestled between the Dordogne and Garonne rivers, the community flows in the energies of the Massif Central and Pyrenees mountains. Les Chapelains has been part of the Charlot family history since the 17th century. This beautiful spot has seen generations making food, making wine, making a loving environment for all the people who have passed through. Les Chapelains is a very special space that we would love to share with you! Please Note: We desire for this to be a hands on and intimate experience for our guests so space is limited to 12 guests per session for the workshops. Deposits are non-refundable but are transferable to another guest or to another cooking school session. Pricing is $3500 per person and payment plans are available. When you reserve your space before 4/21/19 you can also bring a guest(double occupancy) for $1500. Special Introductory Pricing Available until 4/21/19. Join us and receive updates about our French cooking school events, culinary boutique, and online shop!